Chattanooga boasts one of the nation&apos;s top ten green convention centers, a state-of-the-art, one-level, 185,000 square foot facility. 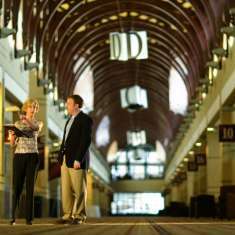 With 100,000 square feet of column-free exhibit space, 21 meeting rooms and 19,000 square feet of divisible banquet space on one level, the Convention Center can accommodate functions of up to 9,000. It is one of the nation&apos;s top 10 green convention centers and features in-house catering service headed by an award-winning chef. It was the first convention center in the country to incorporate a Farm to Table program with local farmers. 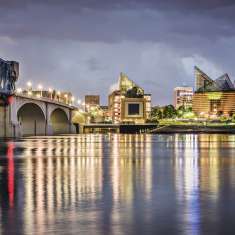 Visitors to "Gig City" will appreciate Chattanooga&apos;s fiber optic network with internet speeds up to 10 gigabits per second - that&apos;s the fastest internet in the western hemisphere - and the free WiFi Internet provided by the Convention Center! 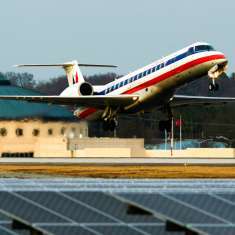 The city offers 11,000 guest rooms of which 2,500 are in the downtown area, an airport that offers non-stop or one-stop connections to over 1000 destinations, a free zero-emission electric shuttle system and unique off-site function venues and recreational options. Get started today by filling out our Request for Proposal (RFP) form. Our dedicated staff of Convention Specialists will help you get started planning your next great event!